Inspiration was a need for simple appearance and operation when capturing a persons identity, something that could be uncomfortable. The rotating form in form design reduces apparent motion when it aims at the eyes. There are 9 front sensors simplified by a black face unifying them aesthetically. The overall width allows a wide spread of the IR LED, located to the far left and right, thus increasing range. The cylindrical form allows rotation and the spherical ends add a friendly shape. 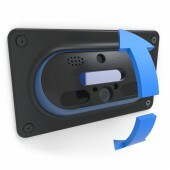 The EY2T is an auto rotating biometric ID camera. It scans the field of view for faces, then using motors it rotates it to aim directly at eyes for best capture. The wide spread of LEDs allows capture at 3 to 6 feet. This eliminates manually aiming at the eyes and captures at greater range. The motors, distance sensor, LEDs, and autofocus make the device unique. The versatility of mounting, either standalone or with wall mount, plus the simple pill shaped design stand out from competition. When a subject approaches, it 1st recognizes faces and locates the eyes. Motors pivot to aim the cameras at the face. 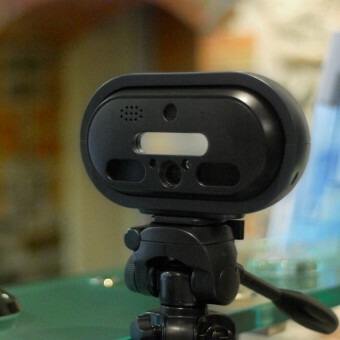 When aimed, LEDs illuminate the IRIS and the distance sensor helps camera focus. A high res image is captured of both eyes and cropped. The 2nd camera captures the entire face with a flash. The images are processed and sent for identification. 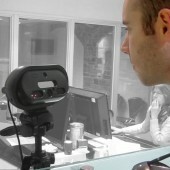 Quickly acquiring biometric images, using the many sensors & motors, allows EY2T to outperform manual ID cameras. The wide LED spread & autofocus allow a greater range of capture. The project was conceptualized in San Carlos, CA (USA) in early 2013, and developed jointly in Bristol (UK) and California over the year. The project continued over 2014 and was finished in early 2015. Plastic housings were created in Carlsbad CA (USA) & Shenzhen (China), and electronics were produced in Singapore. The EY2T is a combination of thermoset injection molded plastics, CNC produced metal support arms, internal bearings & motor, screws, printed circuit boards & components, glass lenses, and rubber strain reliefs. The plastic is both opaque PC ABS material, as well as semitransparent IR light transmissive Bayer plastic for the front lens. The overall dimensions in the tripod configuration are 215 mm wide x 116 mm tall x 77 mm deep. In this housing, it is mounted at roughly human eye level. 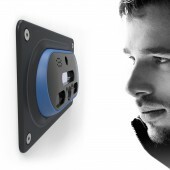 When using the alternative wall mounted outer housing, the EY2T is a different size. The overall dimensions are 199mm x 108mm x 51mm. When mounted, the size of the exposed portions rising from the surface of the wall are 15mm x 108mm x 199mm. The hole required for the device is 190mm x 51mm x 102mm. Qualitative interviews found people have concerns about biometric capture, leading to a specific design tone: Serious, but friendly. As the camera is motorized, research was done into friendly robot styles (ex: Eve from Wall-E) which guided the design. 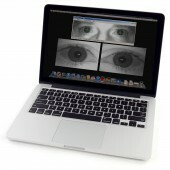 Research showed competitor products and new biometric technology, such as face tracking, which was integrated. Target client environments were considered (ex: offices where people are identified for high value transactions or receiving money). The biggest challenge was simplifying the exterior so the design is non-threatening to users. This was especially difficult when resolving the intimidating amount of sensors on front surface, accomplished through aesthetic positioning and IR light transmissive plastics. Another difficulty was to design a form allowing motorized rotation without exposing the mechanics. The wide variety of potential markets was also a challenge, leading to multiple mounting options and variations of the design through sensor options and their internal positions. Vista Imaging develop camera products in San Carlos, CA. Their biometric devices are field proven and use industry leading technology. 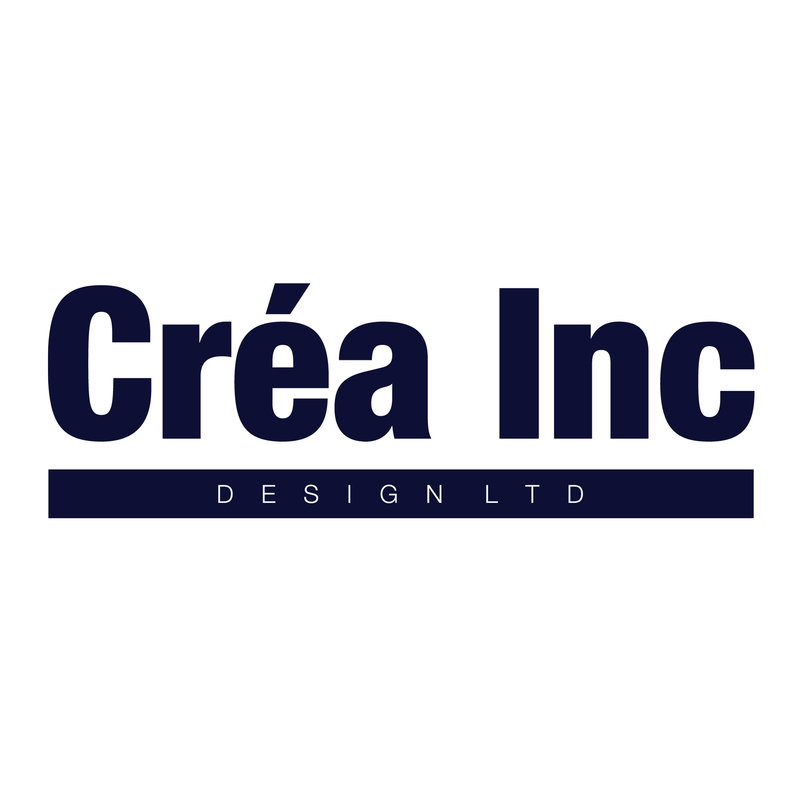 Crea Inc Design is a full service product design consultancy in Bristol UK. They specialize in high tech products, innovation management, and brand strategy. Vista Ey2t Motorized Biometric Id Device by Chris Dopp & Travis Baldwin is a Nominee in Security and Surveillance Products Design Category. · Click here to register today inorder to be able to view the profile and other works by Chris Dopp & Travis Baldwin when results are announced. Vista Ey2t Motorized Biometric Id Device by Chris Dopp & Travis Baldwin is Winner in Security and Surveillance Products Design Category, 2014 - 2015. · Press Members: Login or Register to request an exclusive interview with Chris Dopp & Travis Baldwin. · Click here to register inorder to view the profile and other works by Chris Dopp & Travis Baldwin. Did you like Chris Dopp & Travis Baldwin's Security Products Design? Did you like Vista Ey2t Motorized Biometric Id Device? Help us create a global awareness for good security products design worldwide. Show your support for Chris Dopp & Travis Baldwin, the creator of great security products design by gifting them a nomination ticket so that we could promote more of their great security products designs.